Now in its Fifth Edition, Clinical Neuropsychology reviews the major neurobehavioral disorders associated with brain dysfunction and injury. 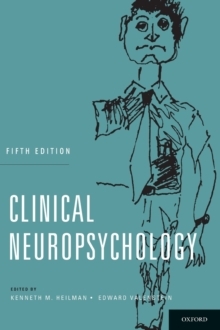 Like previous editions of this book, the Fifth Edition focuses on the clinical presentation of the major neurobehavioral syndromes, including symptoms, signs, methods of assessment that are useful for diagnosis, and also their underlying anatomy, physiology, and pathology. The major behavioral disorders that are coveredinclude aphasia, agraphia, alexia, amnesia, apraxia, neglect, executive disorders and dementia. The text also discusses advances in assessment, diagnosis and treatment of these disorders. 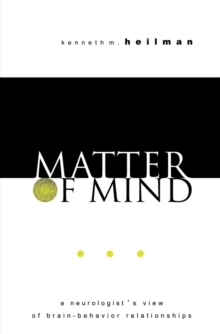 The authors attempt to explain the cognitive mechanisms that can account for specific symptoms and signs, and to provide new information about treatment and management. The authors have drawn from a wealth of new information and research that has emerged since the Fourth Edition was published in 2003. The editors have added a chapter on creativity to the Fifth Edition, since there has been increased interest in creativity, and brain disorders can either enhance or impair creativity. 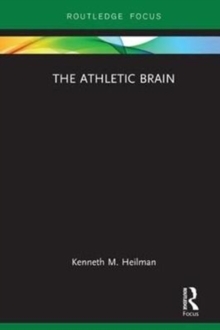 This text will be of value to clinicians, investigators, and students from a variety of disciplines, including neurology, psychology, cognitive neuroscience, psychiatry, and speech pathology.